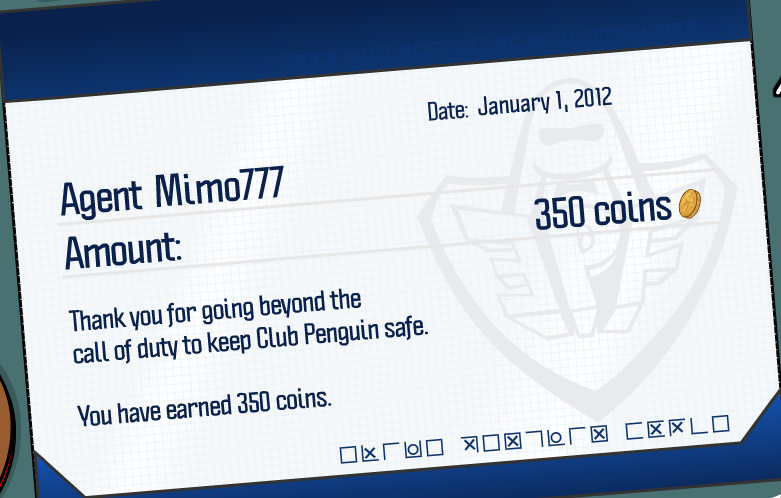 Club Penguin Cheats by Mimo777 Club Penguin Cheats by Mimo777: January Club Penguin Pay Day! Woot, Woot! It is the 1st of the year and the 1st of the month and that means... it is Club Penguin PAYDAY! Man, I was kinda hoping for a raise this year, weren't you? Money in the bank for a new year! 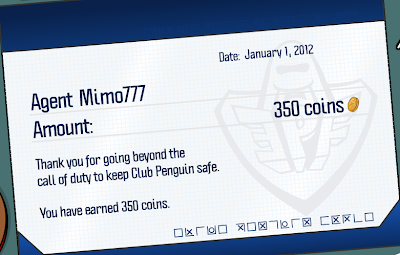 I don't get paid since I'm not a tour guide or a EPF agent... yet! 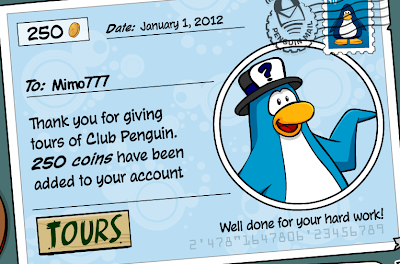 :D I am also going to be a member on my birthday!!!!! i'd love a raise, but i dont give tours (often) and i'm kinda sick of the Penguin forse. all you have to do is log on 1 time a month and 600 coins are yours! i needed the paying :P anyway i am Shadow25256 :) i was the 1 who told u about the item cheat of changing colours i forgot my name :o hope it helps PS it only changes on a few items eg. fireplace, icing decor, kelp streamers. Shadow25256 here, have u heard about an agent named Dot? Yes, not to be mean but a lot of people have. Mimo You are soo funny! ROFL..
A raise..you better ask Cp! We would all like a raise on. New Year but i guess they forgot.